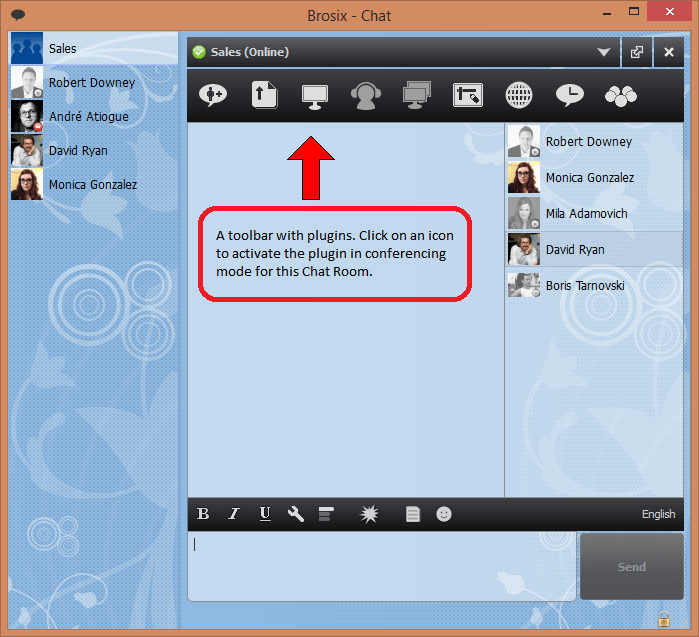 When you open the chat window for a Chat Room, there is a toolbar with plugins on top of the window. If you click on a plugin, it will be activated for all users that participate in the chat room for whom the activation is possible (some plugins require users to be online to be activated). Chat history – will open a Chat History browser for this chat room. The user will be able to see old conversations in the chat room. Should be in the contacts list of the one who activates the plugin. 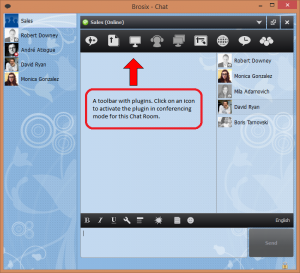 Chat rooms allow users to chat even if they do not have each other in their contact lists. But they have to be in each other contact lists to connect via the other features (plugins).